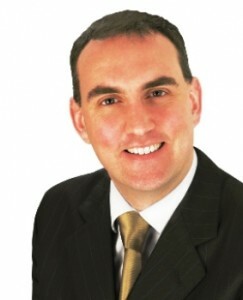 Fianna Fáil Sligo-Leitrim Senator Marc Mac Sharry has attacked as “ludicrous” the Government’s latest attempts to justify the setting up of Irish Water. He said “This latest attempt to defend Irish Water is nothing more than another feeble attempt to justify this failed utility. Minister Alan Kelly’s decision to write to Eurostat following Irish Water’s failure to meet the market corporation test is indicative of this Government’s tendency to put the cart before the horse. Despite trying to appear assertive while challenging Eurostat on its figures, it seems to have slipped the Minister’s mind that those figures are based on the Government’s own CSO statistics. Slamming the national utility “as a scandalous waste of taxpayers’ money,” he said “people across the North West are fed up reading reports about where their money is going. MacSharry said that, “just this week,” Fianna Fáil demonstrated how, based on the current compliance rates and publicly available information on the costs associated with water charges, the net revenue from domestic water charges in 2015 will amount to minus €72m. “The Government cannot continue to throw good money after bad in an attempt to keep this failed entity afloat. Fewer than half of customers are paying their bills – sending a clear message to the Minister that they have no confidence in this bonus driven super quango.